Customer relationship management applications hold customer data in a central repository and tracks customer interaction that a sales rep has with a prospect or customer in order to efficiently manage sales, marketing and customer support. This application helps sales rep by storing and tracking customer data, so that they can do what they do best: sale. In this infographic we started with current scenario of CRM software market from the report published by Gartner. Then we moved to showcase various ways CRM application can boost a growing company’s business by enhancing sales, marketing and customer support. From focusing on quality lead, making proactive decision, increasing sales productivity to securing data are some of the key benefits which are explored in the infographic. 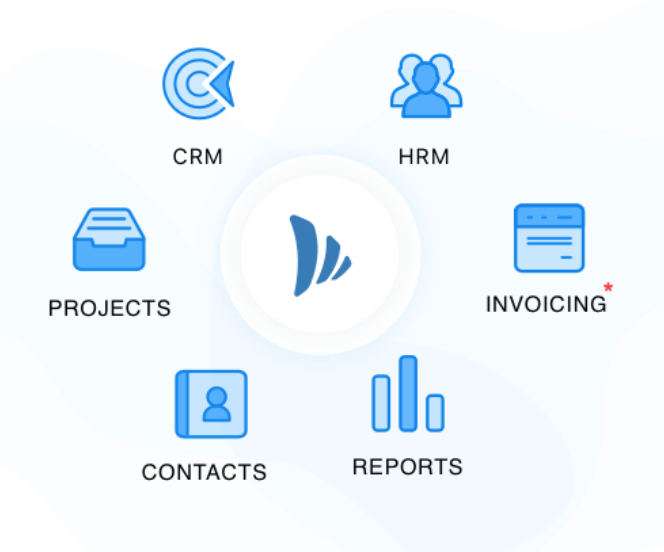 TeamWave’s CRM brings in a whole new dimension to business productivity by offering an integrated suite of business application, so that businesses actually get synchronized data from various business functions. We have kept it absolutely free for first 1000 customers. So, don’t wait any further and sign up now to experience the impact of CRM on your business. A fantastic infographic and I couldn’t agree more. Especially for small and medium businesses, which can help them compete against bigger competitors.